Positioned in the eastern bank of the Victoria Nile, the Kingdom of Busoga cannot be traced far back to the pre-colonial Uganda. The inhabitants were organized under decentralized chiefdoms that were governed by hereditary chiefs. The first European explorers also found when the region of Busoga was still thriving under this kind of arrangement while they were on their safaris in Uganda. Thus, one would wonder about how this decentralized community later converged to have the current Kyabazinga tittle and the Kingdom status that it enjoys today. With the coming of the British colonialists, the organized Kingdoms like Buganda presented easy means of governance and this prompted the British colonial masters to apply the same strategy in the neighboring Busoga region. In return, the hereditary chiefdoms were converged and the chiefs came together to form Lukiiko though the British appointed the Muganda Semei Kakungulu to lead the area. Semei Kakungulu could not have the King tittle but he made a remarkable step in establishing a centralized system in Busoga – something that can be encountered up to now on Uganda safaris and tours. After his retirement, the Basoga had developed the interest in the new leadership development and they requested the British to institute that office and give it to a prominent Musoga and in 1919 Wako Tenywa was elected to head the Basoga Lukiiko and this subsequently gave birth to an organized Kingdom and in 1939 he was crowned the Kyabazinga of Busoga. Other leaders followed including Nadiope Kadhumbuli and Wako Muloki to the present day Nadiope Gabula deepening the roots of Kingship in the formerly decentralized society of Busoga. This gave rise to coronation ceremonies that have in turn become a famous Uganda safari product. 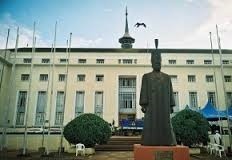 The Kingdom of Busoga has got impressive heritage ranging from the hills of Kagulu to the shrines of these ancestral leaders to the spiritual sites of Bujagali, the royal palace among others which in turn made the region a favorite spot thus prompting world travelers to plan safaris to Uganda.